I was in Dearborn, Michigan last Friday and saw something that shocked me. A U.S. manufacturing facility running three shifts, twenty-four-seven. 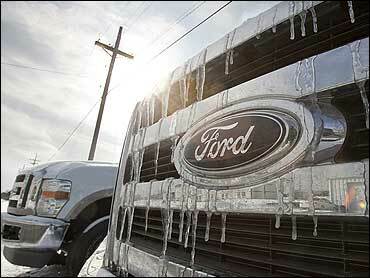 It's the Ford truck plant which turns out the popular F-150 pickup. Basically, each one already has a sold sign on it. Either on order to a driver or to a dealer who wants it. Who knew? And while the pickups don't get the mileage of a Prius, the highway average is over twenty miles per gallon. As was predicted in this space some months back, the beginning of the recovery in the car business is going to be in the bed of a pickup. I spoke with Ford CEO Alan Mulally who told me Ford is poised to ride out the recession. Yes, without bailout money. And, with hard work, be in position to take advantage of the recovery. He says he's gotten the concessions he needs from his unions and he says his cars can compete with anyone else's. The real trick will be to convince a generation who haven't given American cars a second's thought, to give ford a try.